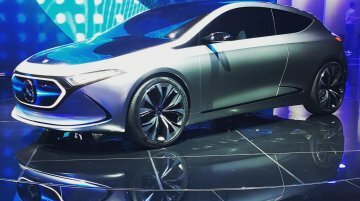 Mercedes-Benz has a wide range of all-new and first-ever products arriving by 2022, consisting of a mix of both electric and conventional models. The company is betting big on its EQ sub-brand by.. 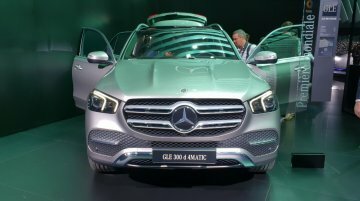 The 2019 Mercedes GLE made its auto show debut at the Paris Motor Show 2018 last month. 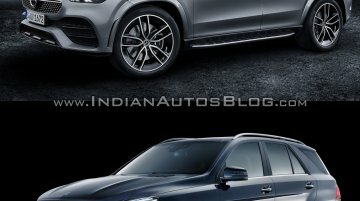 The new mid-size luxury SUV will be delivered Germany from early 2019 and arrive in India in the latter half of..
Seen here are the most revealing images of the 2019 Mercedes GLE, which is expected to be revealed anytime now with a public premiere at the Los Angeles Auto Show in November. 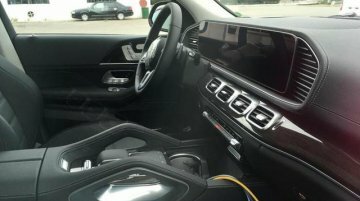 Snapped by Instagram..
New spy shots from China show the interior of the 2019 Mercedes GLE SUV, which is expected to be revealed at this year's Los Angeles Auto Show in November. The fourth generation Mercedes GLE.. 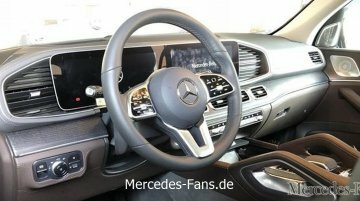 The 2019 Mercedes GLE’s interior has leaked in images published by mercedes-fans.de. 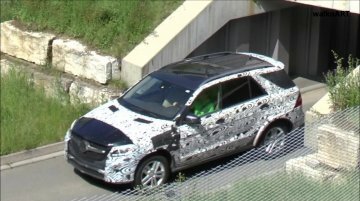 The all-new Mercedes GLE is just months away from its stage debut. 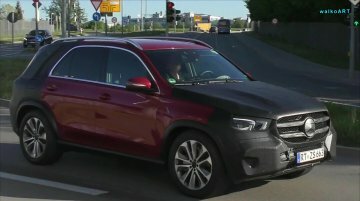 The 2019 Mercedes GLE’s global testing of its standard variants is reaching an end, ahead of its official release this year. 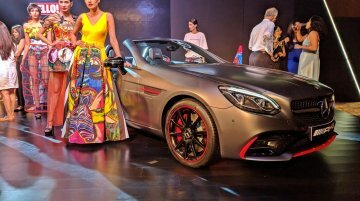 Using the latest details revealed by spy media, IAB’s automotive..
Update 24 May 2018 - Mercedes-Benz India showcased the Mercedes-AMG GLE 43 4MATIC Coupe ‘OrangeArt’ and Mercedes-AMG SLC 43 ‘RedArt’ at an event in New Delhi. Scroll down to access the detailed image .. 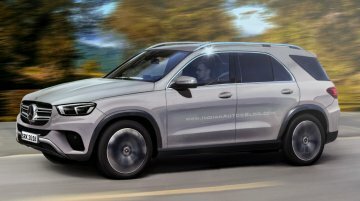 The current Mercedes GLE (formerly Mercedes M-Class) is reaching the end of its lifecycle and an all-new Mercedes GLE is in the works. walkoART has published a spy video showing the next-gen Mercedes .. Launched as a CBU product, local assembly will commence later this year. 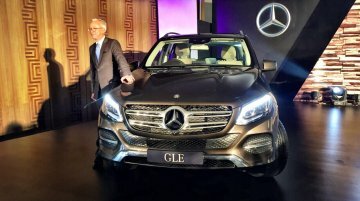 Mercedes India has launched a petrol variant of the Mercedes GLE in the country. Priced at INR 74.90 Lakhs (ex-showroom..
Expected to go on sale in 2019. The third generation Mercedes-Benz M-Class was introduced at the 2011 Frankfurt Motor Show. Since its mid-life update last year, the mid-size crossover is sold as..
Codenamed W167. 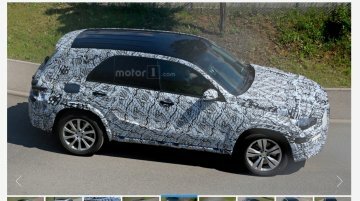 The next generation Mercedes GLE was spotted testing for the first time, as seen in new spyshots from Motor 1. 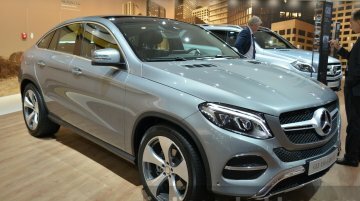 It is expected to go on sale in 2018, nearly seven years after the..
Basically the Mercedes GLE 450 AMG Coupe following the latest naming nomenclature. 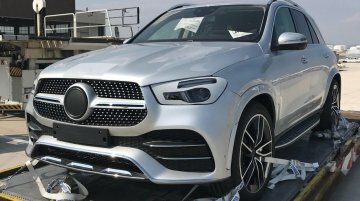 An import document from Zauba reveals that Mercedes India has imported the Mercedes-AMG GLE 43 Coupe for..
First of the 12 launches planned by the brand in 2016. 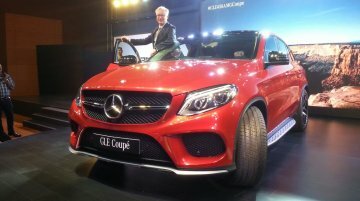 A year after it was introduced at the 2015 Detroit Motor Show, Mercedes has launched the Mercedes GLE 450 AMG Coupe in India. 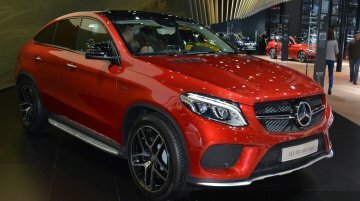 Imported via..
GLE Coupe is the first model to get the AMG Sport variant. Mercedes-Benz showcased the Mercedes GLE Coupe at the 2015 Frankfurt Motor Show. The car is based on the same platform as the M-Class (now..
To rival the BMW X6 xDrive40d. Mercedes India has confirmed that the Mercedes GLE Coupe will be introduced in India on January 12. 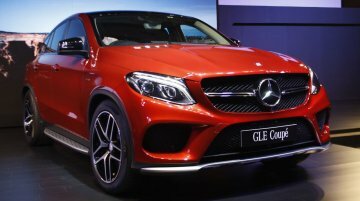 Unlike it's more-practical brother, the Mercedes GLE, the GLE.. 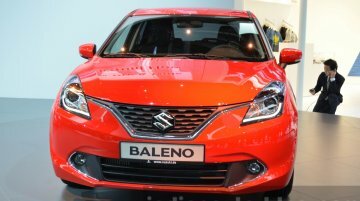 Assembled locally, at the Chakan plant. 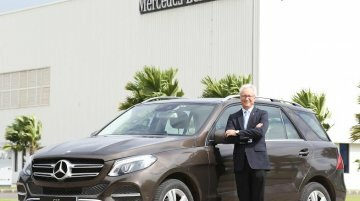 Mercedes Benz India has launched the Mercedes GLE at a starting price of INR 58.9 lakhs (ex-showroom Delhi). The SUV is nothing but the M Class facelift.. The month of October will have at least 7 car launches, spread throughout affordable hatchbacks, hot-hatches and MPVs, to performance SUVs, luxury SUVs and even mid-size SUVs. Below is a list of cars..